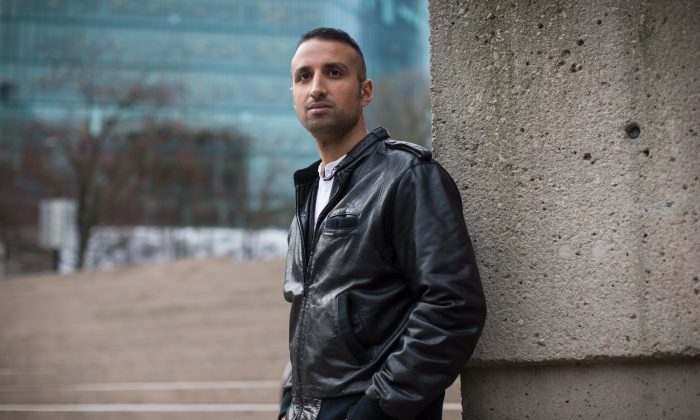 VANCOUVER—Almost two months since an Iranian-Canadian professor died in a Tehran prison, his sons still haven’t had a moment to grieve. Iranian authorities blocked Mombeini from boarding a Vancouver-bound plane with her sons in Tehran two weeks ago and confiscated her passport, the brothers say. “The longer we wait, the higher the risk of something potentially happening to her,” Seyed-Emami said in an interview. He believes it was his father’s work as managing director of the Persian Wildlife Heritage Foundation that made him a potential target. The foundation largely worked to protect the endangered Asiatic cheetah, an animal Seyed-Emami described as a symbol of hope and strength for the Iranian people. The organization had support from the United Nations and other international organizations, he said. “There’s a term: You’re afraid of what you don’t understand. And I think this was one of those cases, because they were doing highly academic and scientific work. … They thought if someone form the U.N. or an international organization comes [to Iran], they must be spies,” Seyed-Emami said. After two weeks of silence from the authorities, Mombeini was summoned to the prosecutor’s office on the pretense that she could see her husband and it would help his case. Instead, she was interrogated for four hours, before being shown her husband’s body, Seyed-Emami said. Since then, the brothers have remained in regular contact with their mother via digital chat apps, Seyed-Emami said. March 20, which marked the Persian Norwuz celebration, was bittersweet for the family. They chatted digitally, with Mombeini in Iran, Seyed-Emami in Vancouver and his brother in New York. But Seyed-Emami said they are motivated by the promise of being together once again.